Whitechapel Tube station is located within Zone 2 on the District and Hammersmith & City lines. 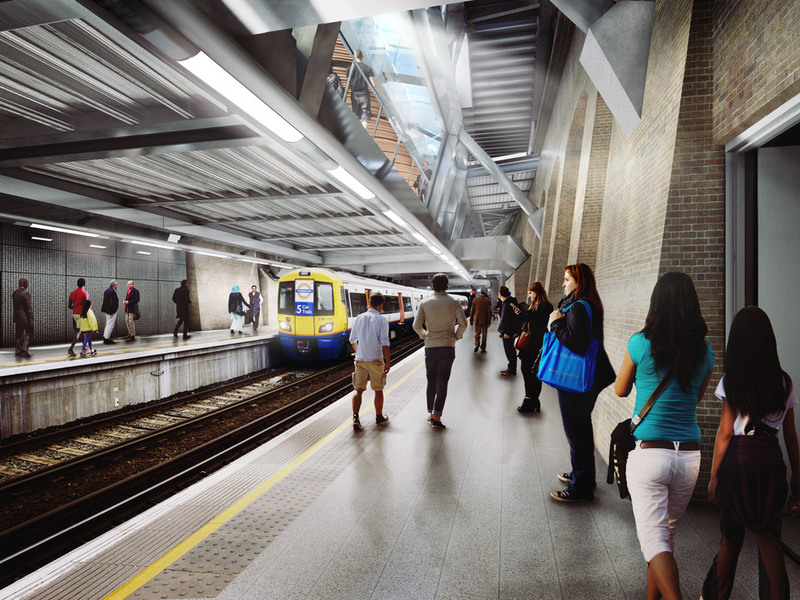 When Crossrail comes in 2018 the station will have a new ticket hall on a bridge above the Victorian railway. Entry to the station will be through the refurbished original entrance on Whitechapel High Street and a new second entrance will be created at the northern end of the station where a new landscaped public square provides a pedestrian link to Whitechapel High Street. A green roof, topped with plants, improve air quality, conservation and biodiversity while natural light and fresh air from the station concourse creates a calm, open, brightly-lit space. What are the best dining options near Whitechapel Station London? Whitechapel Station gyms, sporting activities, health & beauty and fitness. The best pubs near London Whitechapel Station. Whitechapel Station clubs, bars, cabaret nights, casinos and interesting nightlife. Where to have your meeting, conference, exhibition, private dining or training course near Whitechapel Station. From cheap budget places to stay to luxury 5 star hotels see our deals for Whitechapel Station hotels, including Holiday Inn London - Whitechapel from 94% off.